A dramaturge, a director, a musician, a writer and an actress. A professional jury comprised of five experts will decide which of the submitted dramas will take home the Prix Bohemia Radio. Thus, the fate of the submitted dramas is in the hands, for example, of the dramaturge of Prague’s independent Theatre LETÍ, Marie Špalová. She specialises in presenting modern dramas and is also involved in the residence programme for dramatists, as part of which she helped to develop, for example, the scripts for Confession of a Masochist - Zpověď masochisty and Olga (Horror Stories from Hrádeček), which was awarded the title of Best First-run Play of 2016. She was involved as a dramaturge in the co-produced staging of Nebe nepřijímá (Heaven's Closed) at Na Zábradlí Theatre. Outside her home theatre she collaborates primarily with directors Marián Amsler, Martina Schlegel and Natália Deáková. As a dramaturge she has hosted at the likes of HaDivadlo in Brno, the Slovak National Theatre, the Andrej Bagar Theatre in Nitra, the Petr Bezruč Theatre in Ostrava, the West Bohemian Theatre in Cheb, the Josef Kajetan Tyl Theatre and the the South Bohemian Theatre in České Budějovice. She also collaborates with Czech Radio on a regular basis. The production of Felicia Zeller's play Conversations with Astronauts directed by Natália Deáková won second place at the Prix Bohemia Radio festival and was nominated for Prix Europa. Ondřej Urban, a lecturer at the Department of Musical Sound at the Music and Dance Faculty (HAMU) of the Academy of Performing Arts in Prague and the Head of the HAMU Sound Studio, will also be sitting in the professional jury. He dedicates himself to sound design and sound directing of CDs, movies, plays, as well as other forms, like sound collages, jingles, and radio spots among others. Ondřej is also responsible for many recordings, over 50 CDs among them, of both classical and popular music. In his own work he focuses primarily on the composition of electronic or electroacoustic music, both autonomous and within other works. He also plays and improvises on the piano and the organ. Form the year 2000, he was first an external professor of Sound Design and simultaneously a researcher in Musical Acoustics at HAMU. He holds a degree in radio electronics from ČVUT with an emphasis on electroacoustics, Sound Design at HAMU, and composition at the Jaroslav Ježek Conservatory. Twenty-one panel judges will decide the winners of the 35th Prix Bohemia Radio festival. Five professionals with experience from the radio environment both at home and abroad will be judges on the Documentary, Drama and News Report category panels. Six big names will decide the winner in the Multimedia category. Prior to the festival commencing, the panel of judges will pre-select works from those entered to go through to the final fight. The winners will emerge as the result of a ballot after the competition programmes are heard. A radio and theatre dramaturge, director and author all rolled into one. That is the third juror, Ján Šimko from Slovakia. He is a graduate of psychology, theatre studies and aesthetics. He works as a radio play dramaturge at RTVS and teaches at the Academy of Performing Arts in Bratislava. Since 2004 he has also been a member of the dramaturgy council of the International Theatre Festival Divadelná Nitra. Most recently, for radio he has directed a radio adaptation of Pavol Országh Hviezdoslav's play Otčim (Stepfather) and a dramatisation of Peter Macsovszky's novel Tantalópolis, prepared the dramaturgy for titles such as Lenka Čepková's Dobrú noc a sladké sny (Good Night and Sweet Dreams), the co-produced project of Rádia Ivo and Divadlo Gasparego 100 let naživo (100 years live) and the original play by David Zábranský A ten táta Masaryk. The Multimedia category makes its very first appearance at the 35th Prix Bohemia Radio festival. The classification of this category reflects a current challenge for media houses to multimedialise content. It is intended for projects that open up audio consumption in an innovative way and offer listeners interaction as well as sound. An artist, writer, music producer and also the fourth juror, Dmitri Plax was born in 1970 in Minsk, Belarus. Since middle of the 90-s lives and works in Stockholm, Sweden. Working with focus on questions of human perception, during last ten years mostly in the field of sonic performances. 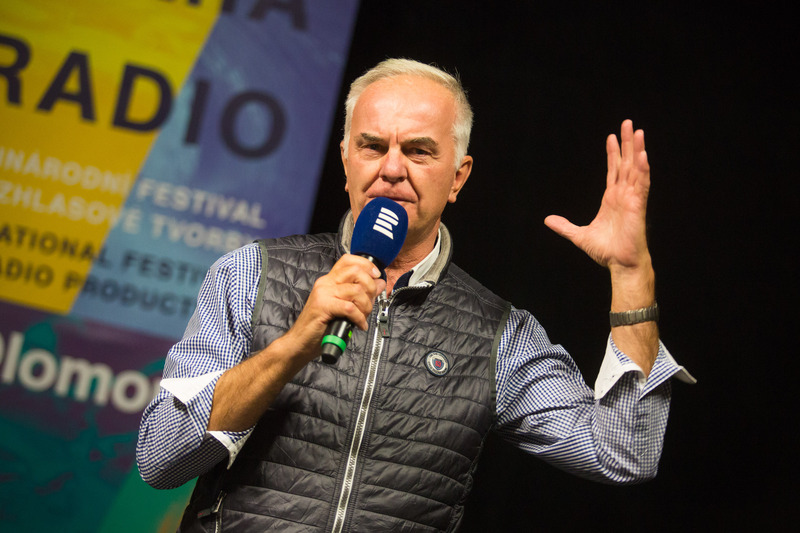 Dramaturge, director and producer at Drama department of Swedish national broadcastings corporation. The ranks of foreign jurors are joined by the director, dramaturge and actress Soila Valkama. Audiences could encounter Soila as an actress in the Finnish National Theatre, in the Municipal Theatre in Turku, on television or on the radio, while in the role of the director in the Municipal Theatre in Lahti. In 1998, she taught radio direction, acting and dramaturgy at the University of Birzeit in the West Bank, while one year later she began to work as a director, dramaturge and producer on the development of programmes for the Finnish public radio broadcaster YLE. She won the Prix Europe in 2010 and the Prix Marulić in 2014 for her dramas. One year earlier, she won the Prix Marulić in the category of Documentary.